Manchester United endured a difficult afternoon at the King Power Stadium on Sunday, but managed to emerge on top nonetheless, as a sole strike from Marcus Rashford earned them a 1-0 win over Leicester City. The crucial victory helped the Red Devils rise up to the 5th spot in the Premier League table, and they now sit a point above Arsenal, who lost their respective clash against Manchester City. 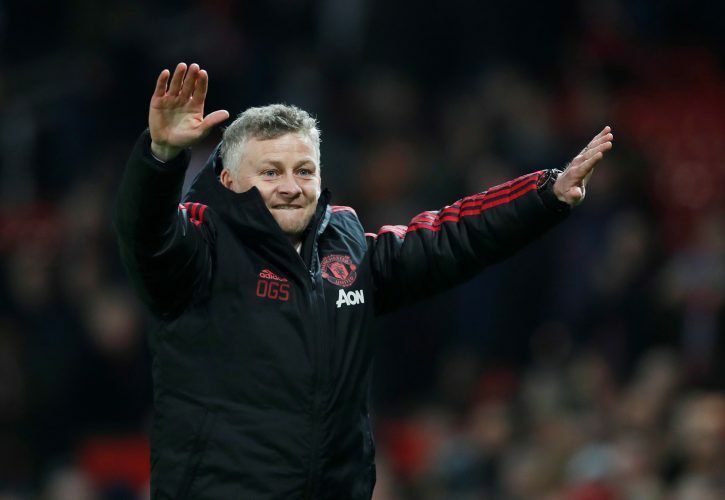 Ole Gunnar Solskjaer only had good things to say about his team despite the far-from-impressive performance, praising his players’ reaction and resiliency, especially following the midweek draw against Burnley. The Norwegian tactician evidently remains focused on the upcoming games in February, and he seems to have already begun preparations for the crucial continental clashes. According to the Daily Mail, Solskjaer rushed out of the King Power Stadium within 20 minutes of the final whistle, so as to catch an urgent flight to France. The interim Manchester United boss has traveled to Lyon in order to watch his team’s Champions League round of 16 opponents, Paris Saint-Germain, in action firsthand. The reigning French champions take on Lyon in an exciting Ligue 1 encounter, which is set to kick-off at 8pm UK time. Therefore, Ole hurried through his post-match routine to fly across the channel and make it to the game on time for his all-important scouting mission. Some dedication from the Red Devils’ boss.